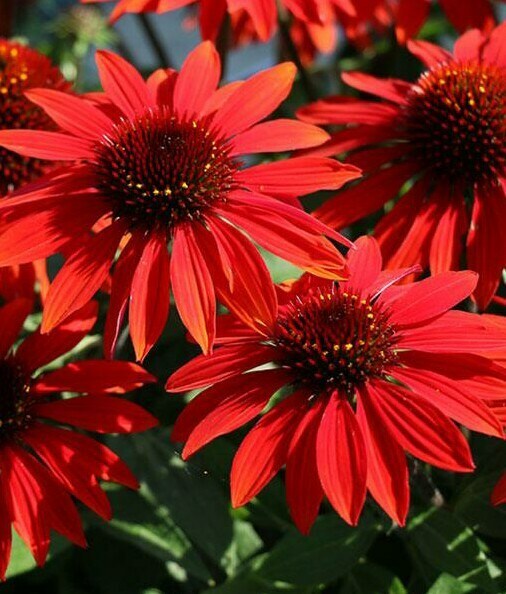 A vibrant scarlet-red color with burgundy-red flower stems on sturdy, compact plants. Attracts butterflies. Grows best in full sun and well drained gardens.